Peggy Foy's Studio Log | Today's the day! 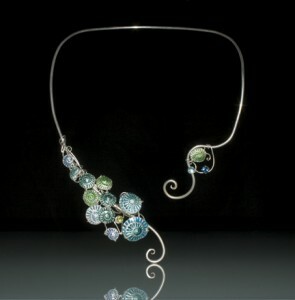 Enamel on fine silver; on forged sterling neckwire, with peridot and blue topaz. 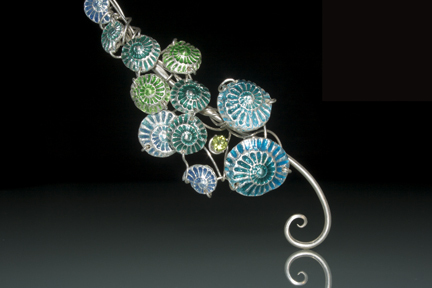 Detail: enameled silver with peridot. 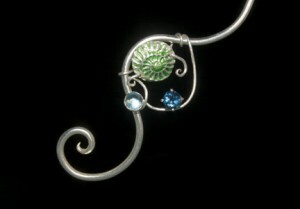 Detail: green enamel on silver, with “Swiss Blue” and “London Blue” topaz. Looking forward to browsing your art/wares!